Our goal is to educate our customers during the inspection and we will discuss the components of the septic system and offer suggestions on how to maintain the septic system. 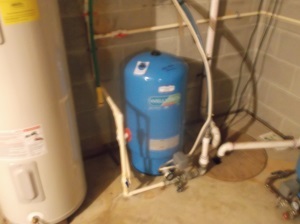 Proper maintenance of the septic system will protect your investment in the home. A verbal pass/fail of the septic system will be given at site and a written report including any Health Dept. records and findings on site will be included. 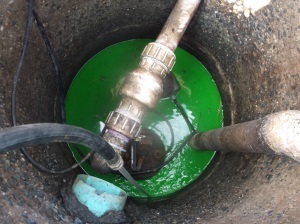 A complete inspection includes surge testing the system with a minimum of 125 gallons of water to determine if the system is functioning hydraulically. 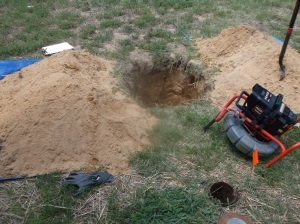 Checking the baffles of the septic tank and solid level will also be done. The absorption system will be checked and dye testing of the system will be performed. Check out our FAQ for more information. Dye Tests are where the septic system will be dyed and slug tested with a minimum of 100 gallons of water. The licensed Environmental Sanitarian or Maryland Certified Septic Inspector will walk the property looking for evidence of sewage effluent on the ground surface and/or the presence of the overboard discharge pipes. Check out our FAQ for more information.